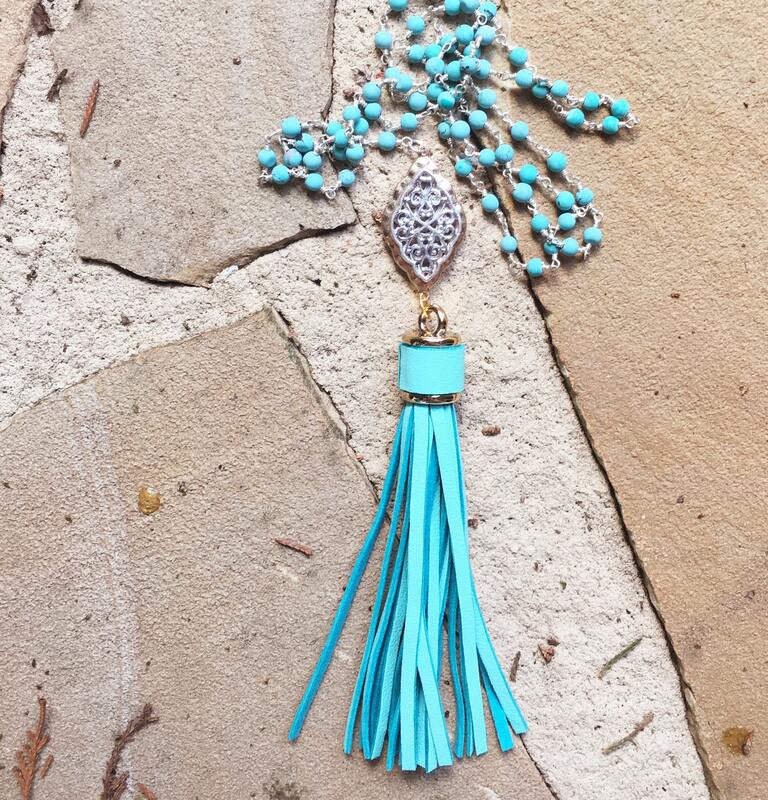 This trendy Long Leather Turquoise Tassel Necklace with Gold and Silver Pendant on a Turquoise Gold Beaded Chain goes with everything! 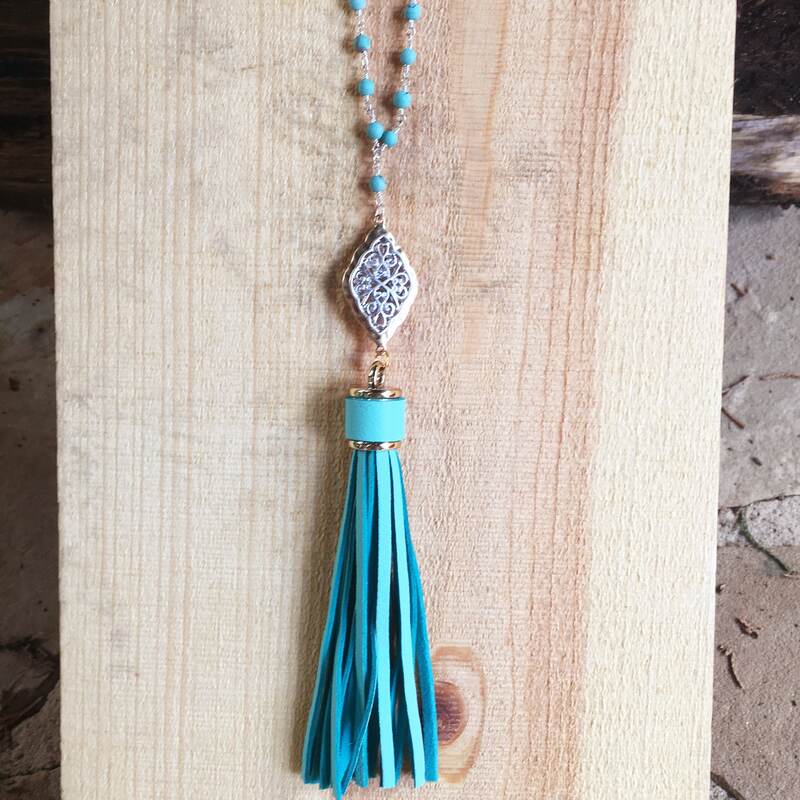 No closure, necklace just slips over head. The chain is 30". 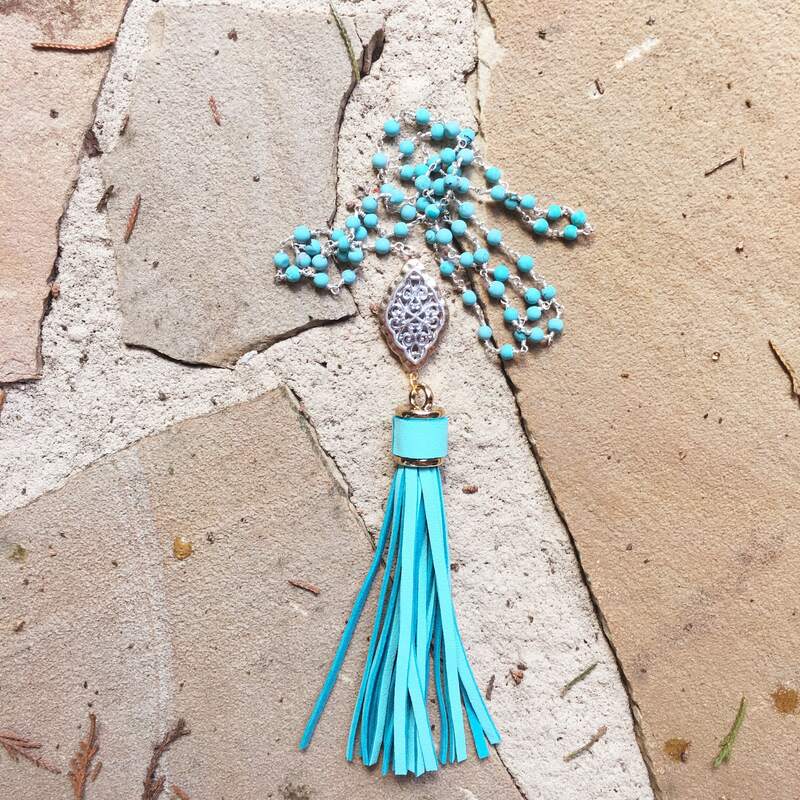 The leather tassel is 4 inches. The silver and gold connector pendant is 1 1/2 inches.